As a reminder, the school year follows the public school calendar as closely as possible between mid-September and mid-June. The Parent Handbook contains our school calendar, our school’s policies and other pertinent information which can also be found on our website: www.gcns.org. Social Event of the Season! Our annual Potluck Supper is nearly here! Mark your calendars for Friday, October 27 at 7:30pm. It’s an adult-only night, so book your babysitter! The Potluck is a great opportunity to meet other parents from your child’s class, try out delicious food and support our school’s fundraising efforts. Some helpful tips for a fun and simple dinner out: Be sure to bring serving utensils for your dish, and bring your dish labeled – in a disposable tray, if possible. Bring your own beverage of choice: wine, beer or even a pitcher of mixed drinks to share at your table is permitted for this event. GCNS Teams up with Amazon Smile! 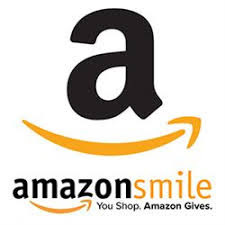 Amazon will donate .5% of your purchase price to GCNS! Go to www.smile.amazon.com. Sign into your account and select “Garden City Nursery School” as your charity. Your account does not change, and Prime is not affected. Amazon will donate .5% of your purchase price (on eligible items) to us automatically, with no extra cost to you! Please feel free to share the line with family and friends. Remember to purchase items on www.smile.amazon.com instead of www.amazon.com. You can also click here to select GCNS: https://smile.amazon.com/ch/11-6003017. The first maintenance session was a great success, and our school grounds are in good shape. Each family is required to attend one of three maintenance sessions for the fall, or pay a maintenance fee of $125. The two remaining fall sessions are scheduled for November 4 and December 2, from 7-9:30am. We have extended the return date to Friday, October 20. Please return your envelope to school with the two top copies of your order form and the total money collected. Keep your brochures as well as the bottom copy of your order form. This is your only record of what each customer has ordered. 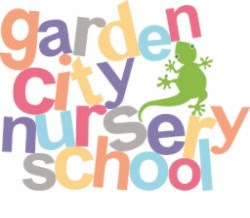 Please make your checks payable to the Garden City Nursery School – no tax applied. Out of town families can visit the website www.misschocolate.com to participate. Follow the instructions for Student Signup and use the School Code 400103 so our order and our school receive credit for the sales. Contact Jessica Fabilli at jazibel75@aol.com with questions. Help us reach our goal of 100% participation! Pre-K East and West are headed to Green Meadows Children’s Farm in Floral Park on Thursday, October 19. 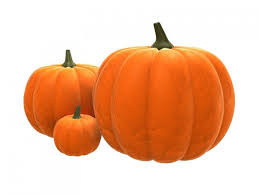 The children will get up close and personal with farm animals, have a pony ride and a hayride and pick their own pumpkin. Lots of seasonal fun! The GCNS has arranged for a speech and language screening performed by Irene McCoy, a licensed Speech/Language Pathologist. Ms. McCoy was formerly on staff at the GC Public Schools. The children are screened in a non-threatening setting and recommendations will be made to the parents. This is not mandatory. The cost of the screening is $15 per child. A permission form will be in your mailbox. The screening dates for Pre-K classes are Thursday, Nov.2 and Nov. 9. TBA in January/February for our Nursery classes. Children are welcome to wear costumes (NO MASKS) to school for a “parade” around the playground which will last for the first hour of school. After that, costumes will be removed. Please make sure your child is wearing something under the costume or bring a change of clothes, and a jacket. Parents and family members are welcome to stay for the parade celebration. Participating parents may being a “holiday snack,” but no candy, please. Don’t be surprised if moments before they don that costume, they get “spooked” and don’t want to put it on. Young children are perceptually dominated – which means they believe what they see – and a costume may be too much to handle. Masks can be especially frightening. Once a face is covered, the child may perceive that the person is lost and has become what the mask suggests. If your child will not wear a costume, then bring it to school so they can “show” it to their friends. Our Playgroups will NOT be wearing costumes – even the “friendliest” costumes can frighten our youngest children. Registration for 2018-19 is just around the corner! School has only just gotten underway so it is hard to believe that we are thinking about next year already. Be on the lookout for registration forms in your mailboxes at the end of October. Ann Amengual, our beloved Consultant, came to visit on October 3. Now that she is on the mend and able to drive she will visit more regularly. Welcome to our school’s music program. Each week your child will come to the music room with the whole class have lots of fun singing songs, moving and playing rhythm instruments. Sometimes we will use the parachute and participate in music stories. I use music as an opportunity to sing about topics that relate to the children’s lives and to support the learning that is happening in the classroom. All children are born with music ability and you and I together can nurture it. Early childhood is the best time to make sure your child is exposed to a rich musical environment. Singing, moving to beats and rhythms and creating songs about what your child is doing is a great beginning. This will not only help develop your child emotionally and artistically but will also enhance the development of brain growth for future critical thinking and problem solving. You can follow the progression of songs sung in school on our school CD “COME ALONG AND SING A SONG.” If you don’t have it yet, copies are sold in the office. During the fall we will move and sing songs about squirrels, leaves, pretend witches and pumpkins. Wrinkly up your tiny nose, hold the nut between your toes. At the school we strive for a balance between an orderly, safe arrival and dismissal, while allowing time for parents to conduct the business of the cooperative, share their experiences as parents, or just chat. These are our “family values” and they are important to us. So, how can we make these values work along with a safe and orderly arrival/dismissal? We begin by asking all parents to conduct business and conversations before picking up the children. Once the children are dropped off or picked up, please do not linger and risk them wandering off or leaving the lobby without you. Make sure you shut the classroom door behind you and lock it. Working with play-doh strengthens hand muscles for writing, allows open ended creative expression, and stress relief for all ages! Mix all ingredients in pot over medium heat until a ball forms. Remove from heat and knead for a few minutes. Store in the refrigerator in a tightly sealed plastic bag. It is better than store-bought Play-Doh! Three-year-olds new to the school are entering “phase two” of the adjustment-separation process. The novelty is wearing off. The child notices that the adults are leaving. Questions arise: “Is my adult going to leave too?” “Who will answer to my needs when he/she is gone?” “What if I need to go to the bathroom?” A host of such anxieties may besiege the child, although none will be clearly defined enough to articulate. If he or she has qualms before leaving home or says “I don’t want to go to school,” you might respond, “Oh, I have to go to school to see when it is my turn to be the helping Mommy.” Once at school he/she forgets his qualms, although that may not mean he is ready yet for your departure. That time will come. For parents new to the school, classroom participation is at first a confusing experience. “Where do I put the painting?” “How do I fix the snack?” Those are easy questions. More difficult is “What does the teacher expect of me once I know the ropes?” The answer is AWARENESS: Awareness of the child who needs help in transition from one activity to another; awareness of children who need supervision in some areas, etc. Grow eyes in the back of your head while you attend to individuals; be aware of the total situation. Alert the teacher if you feel the need. Meanwhile, answer the needs of your own child as you help others. He/she is your helper. A large order? Indeed it is, and we cannot overestimate your importance to the welfare of the classroom. “Should I shadow my child?” Allow your child to choose what they want to play with and then play with them. Try to engage other children in the same activity so that a group of children is playing together or in the same space. Position yourself strategically so that you can be alert to the total situation. Guide the children without dominating the play. “What do I do when the children are having a conflict?” Do not immediately jump in to resolve a conflict – allow the children time to work on these skills. Do immediately intervene if you sense physical danger. Alert supervision prevents trouble. Assume that the child always means well, that he never intends his mistakes or aggressions. He is never “bad” or “not nice,” only learning. Children need adults with whom they can comfortably make mistakes. “How much snack should I bring?” One small muffin or birthday cupcake per child; one small handful of pretzels or goldfish, a few pieces of cut up fruit or other small snack. Please take home any leftovers. The best suggestion: Keep is simple and healthy! Our wish is to provide the children with healthful snacks, low in sugar and non-allergenic. Cupcakes should be reserved for birthdays. Avoid chocolate, which includes Oreos, and try to avoid artificial coloring and flavoring. We also avoid high-risk choke foods, all nuts and candy. High-risk choke foods for toddler groups include bagels, full grapes, carrot sticks and celery. For playgroups, please remove pits from all fruit, skin from fresh apples and inner skin from oranges. A few snack ideas are listed below. Auction Packages and Silent Auctions!